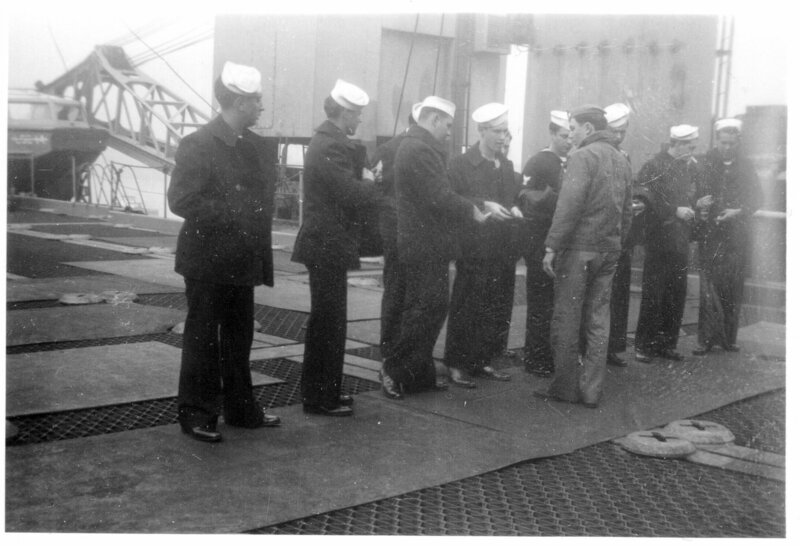 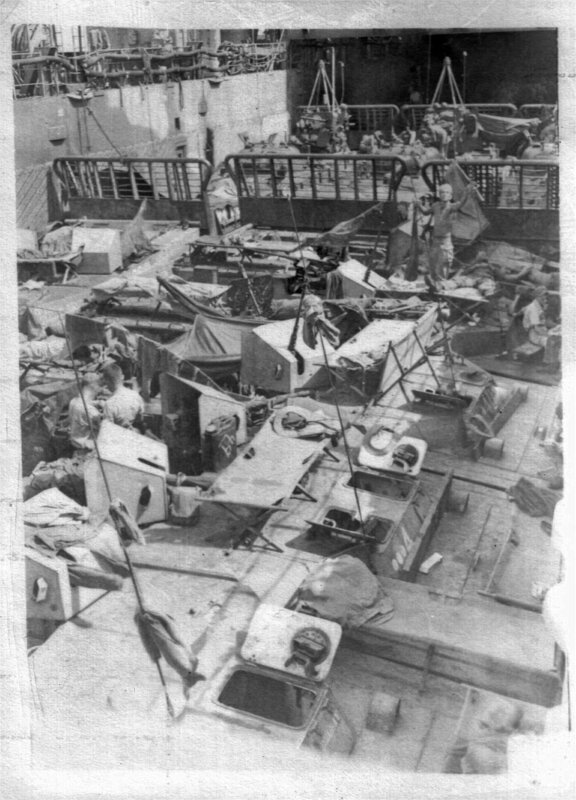 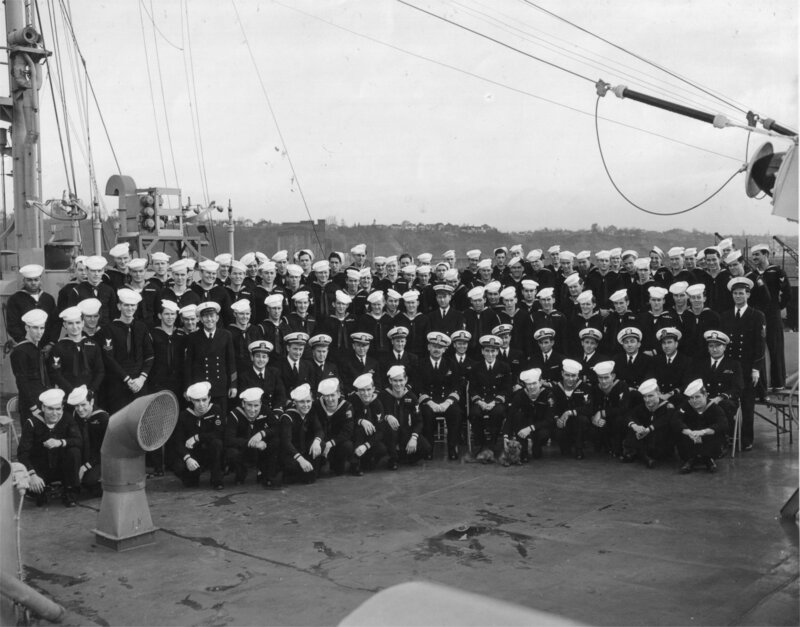 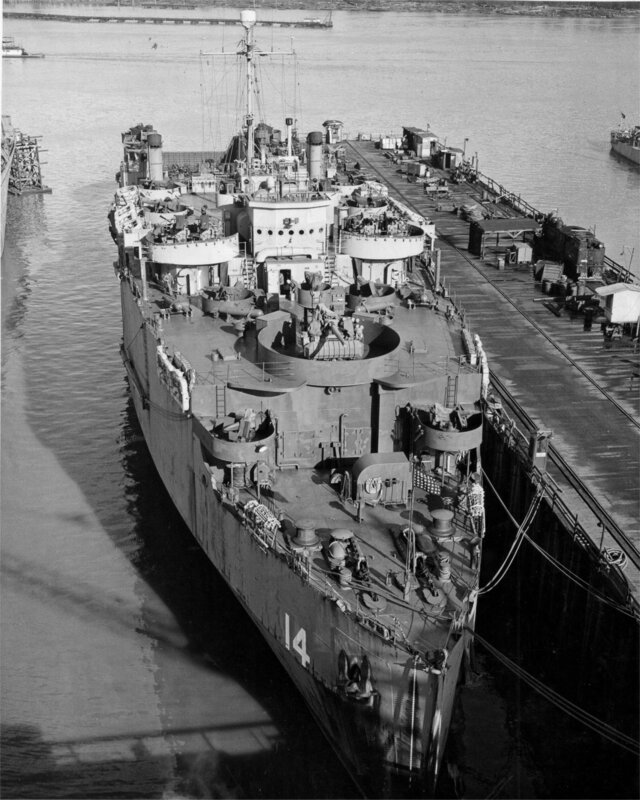 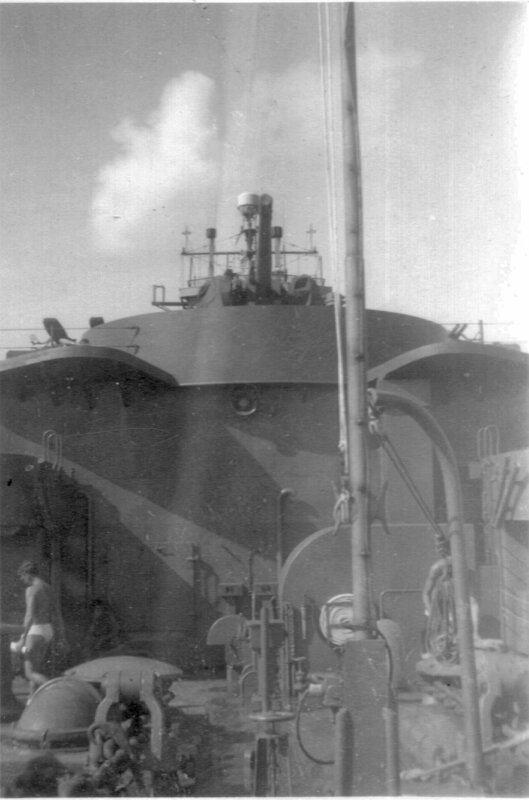 Laid down, 31 December 1943 as HMS Sword at Newport News Shipbuilding and Dry Dock Co., Newport News, VA. 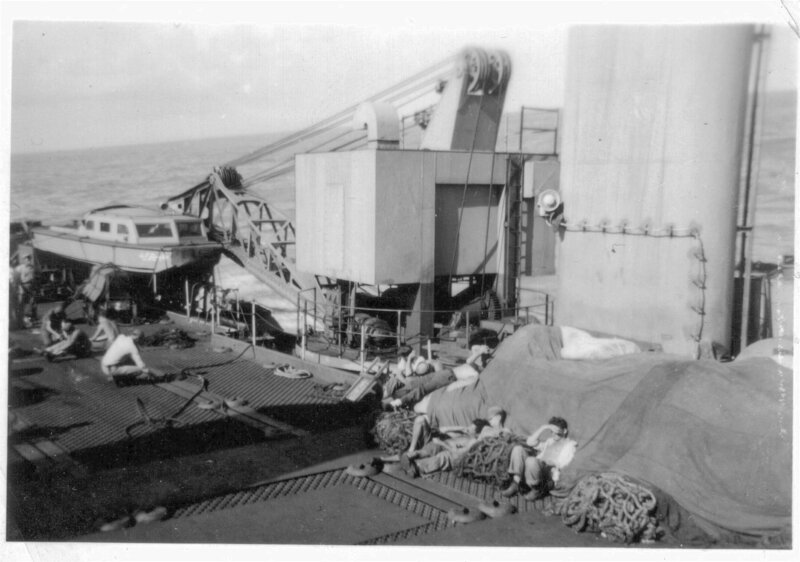 Laid up in the Atlantic Reserve Fleet, Pascagoula, MS.
Recommissioned, 21 September 1950, at Charleston, S.C. 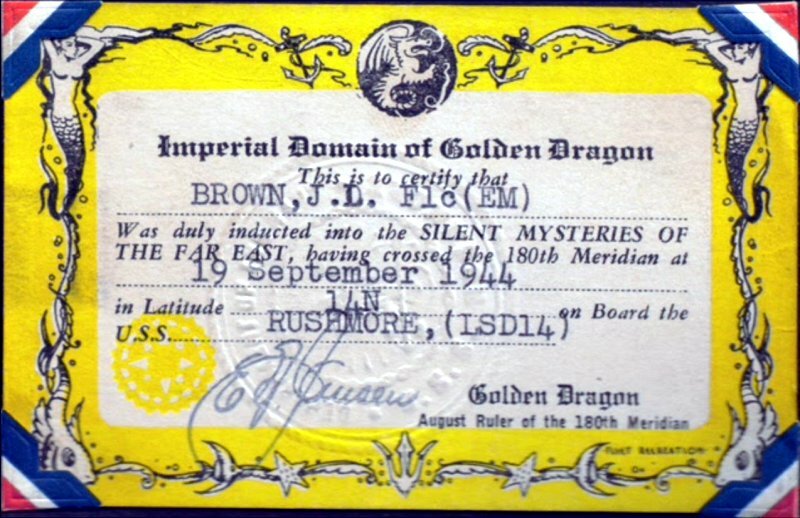 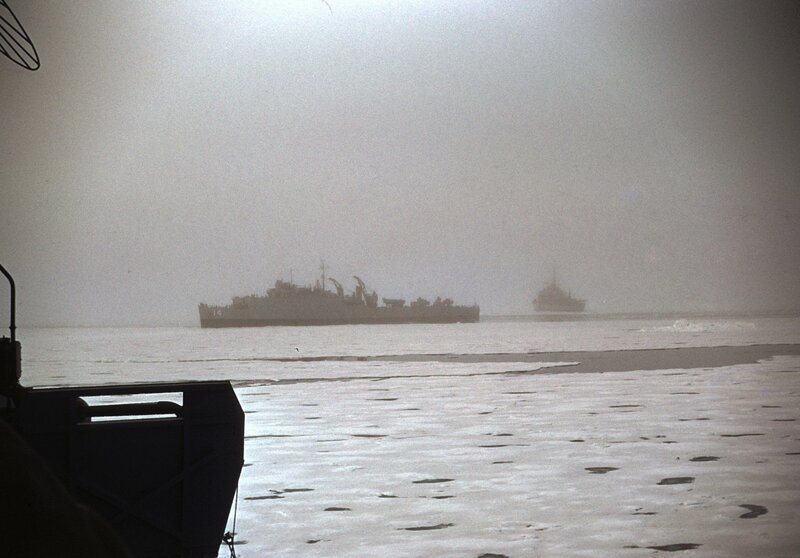 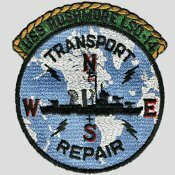 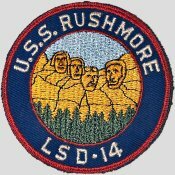 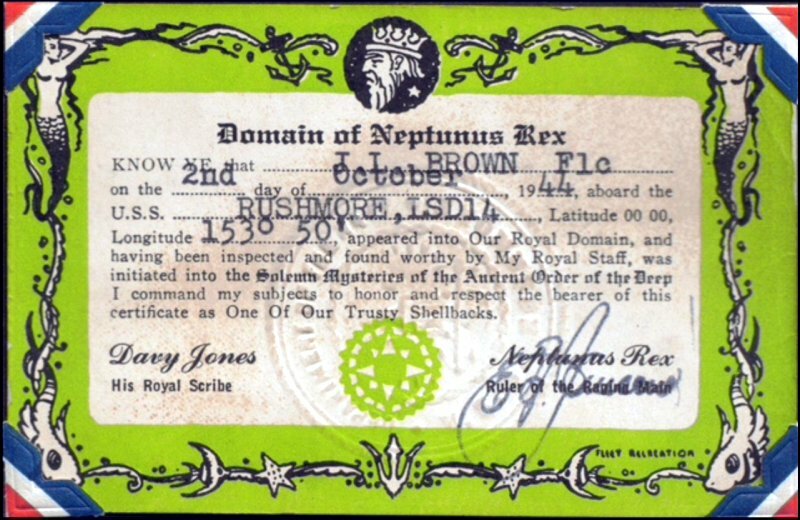 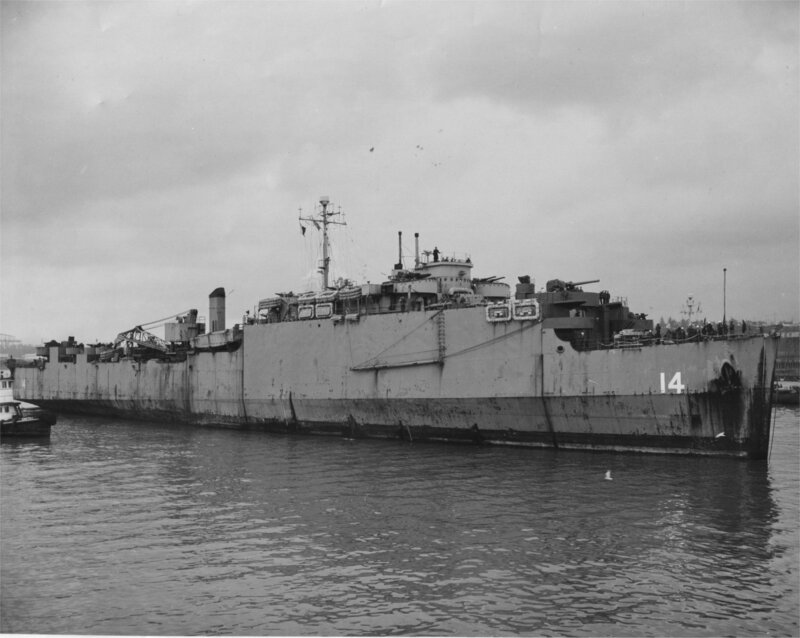 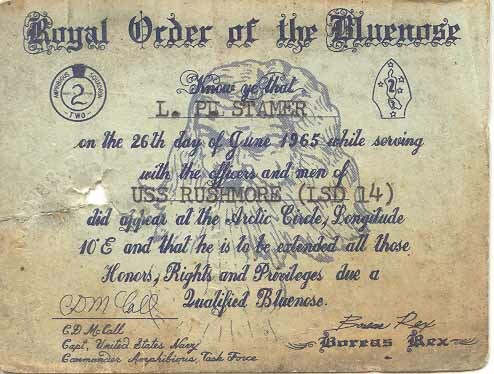 Custody transferred to the Maritime Administration for lay up in the National Defense Reserve Fleet, James River, Fort Eustis, VA.
54k USS Rushmore (LSD-14) underway, date and location unknown. 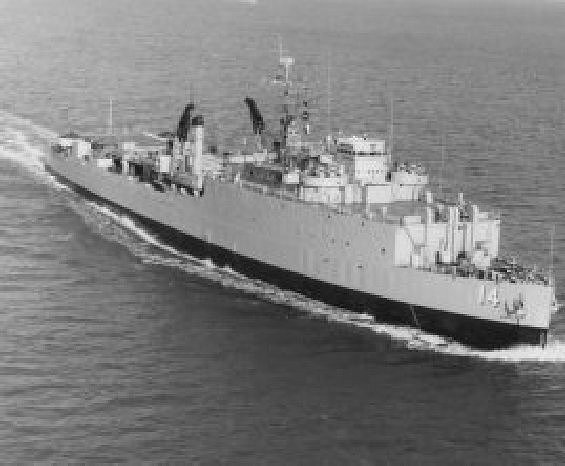 Bob Allport USS Carter Hall. 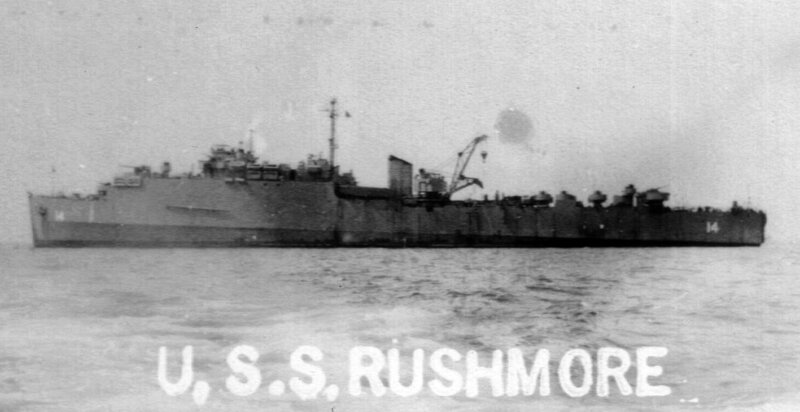 325k USS Rushmore (LSD-14) under way, probably at Hampton Roads, in July 1944. 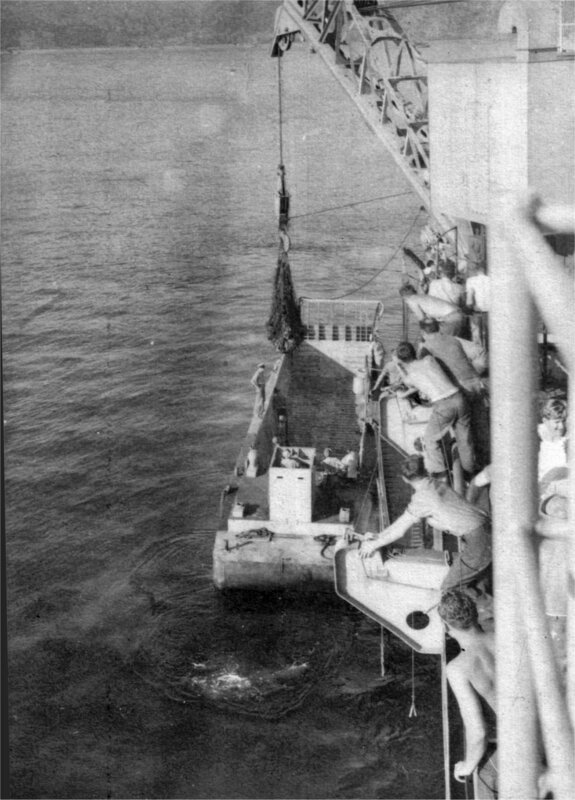 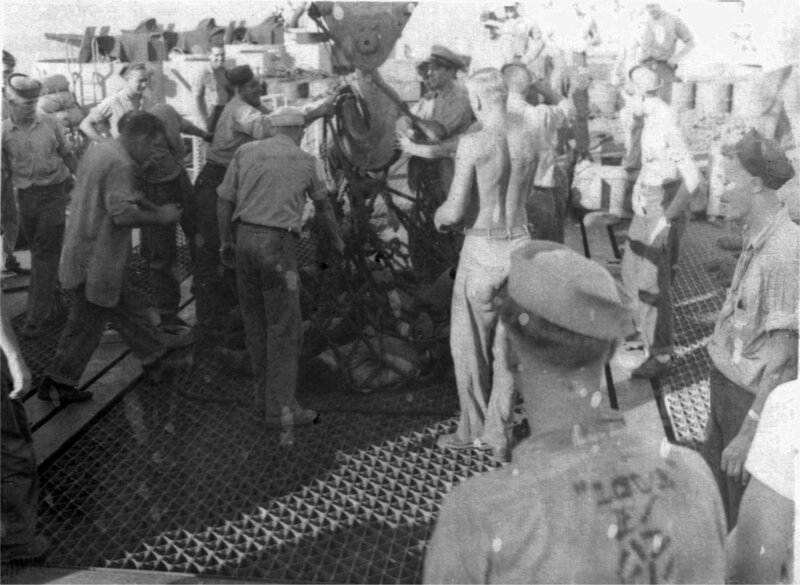 952k Yu-3 being secured inside the docking well of USS Rushmore (LSD-14) in 1945. 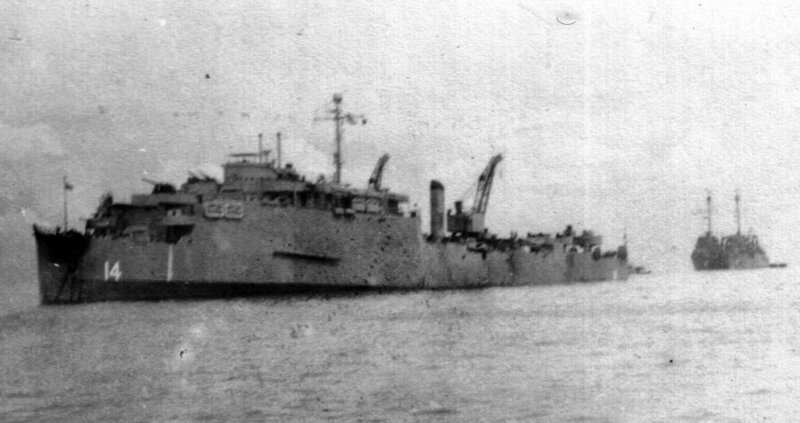 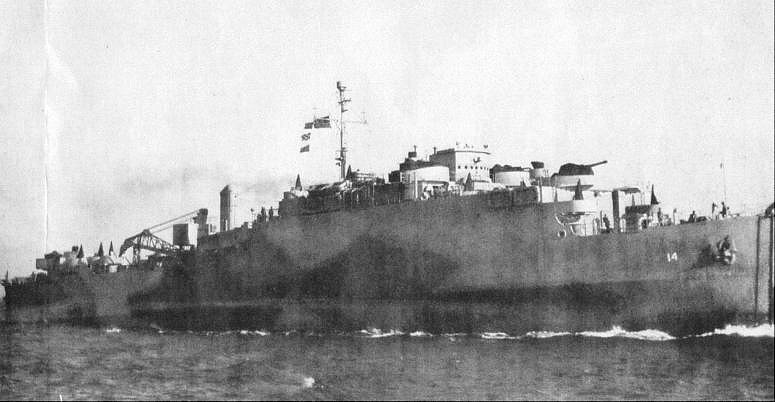 Yu-3 had been lost in an accident at Lingayen Gulf in January 1945, salvaged by USS Grasp (ARS-24) on 18 January 1945, she was then carried by USS Rushmore back to the United States. 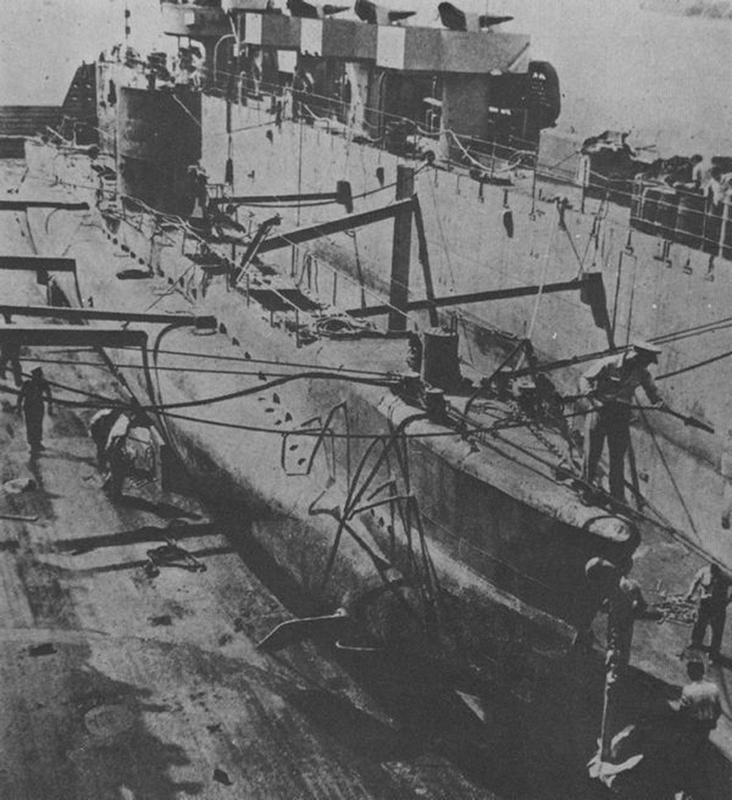 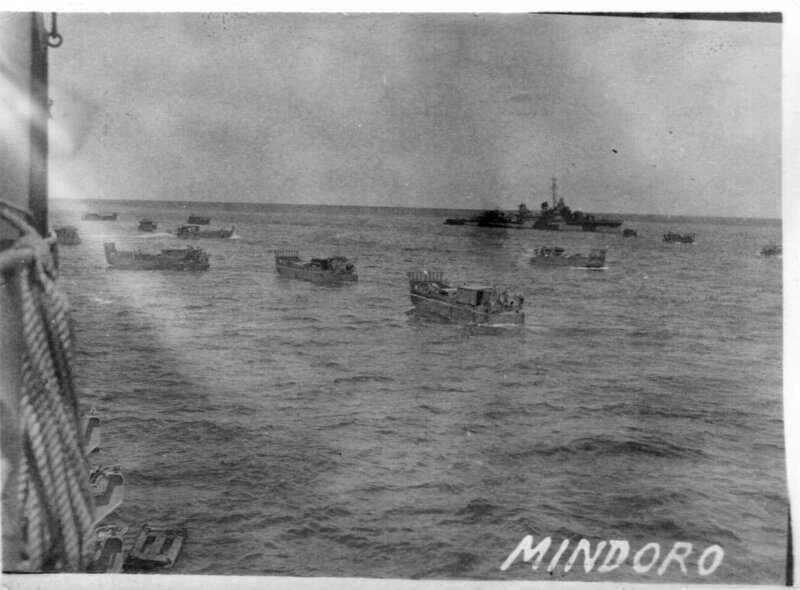 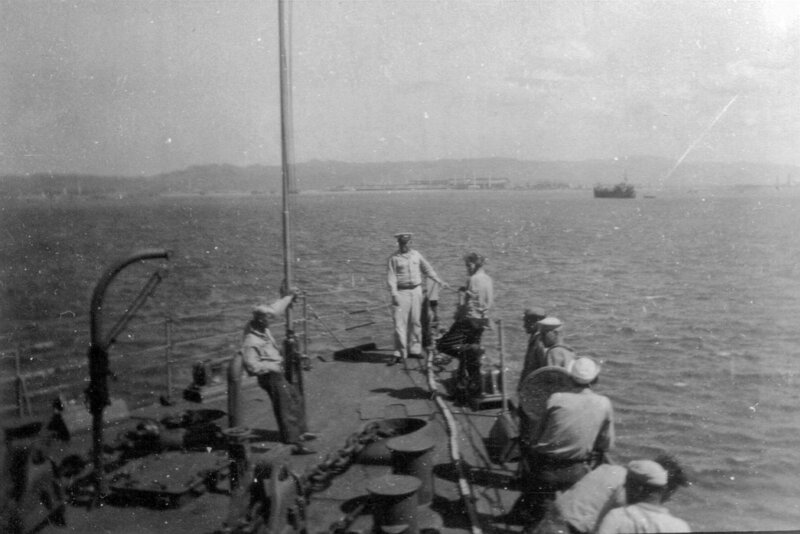 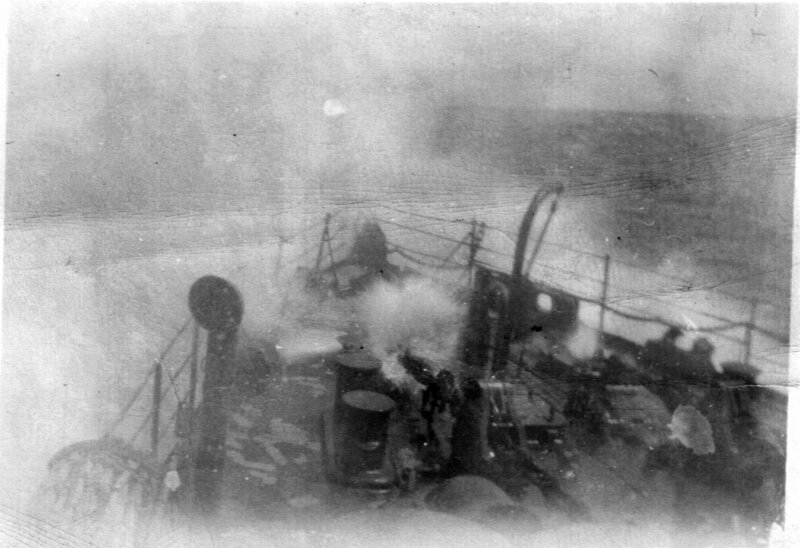 USN photo from The Maru Special No.43, Japanese submarines III, courtesy of Robert Hurst. 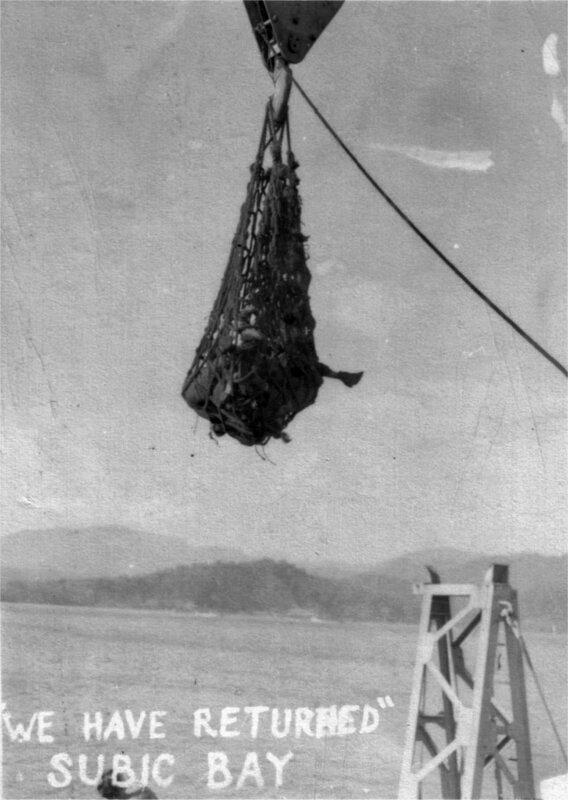 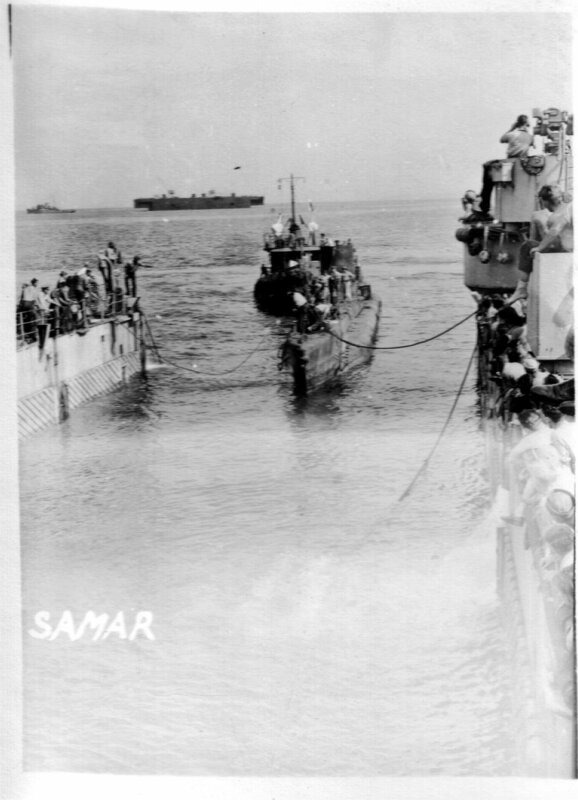 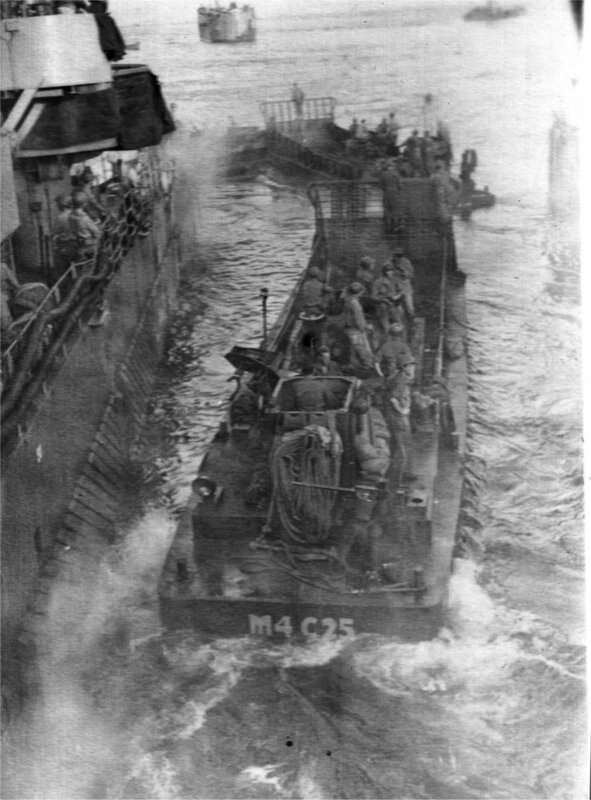 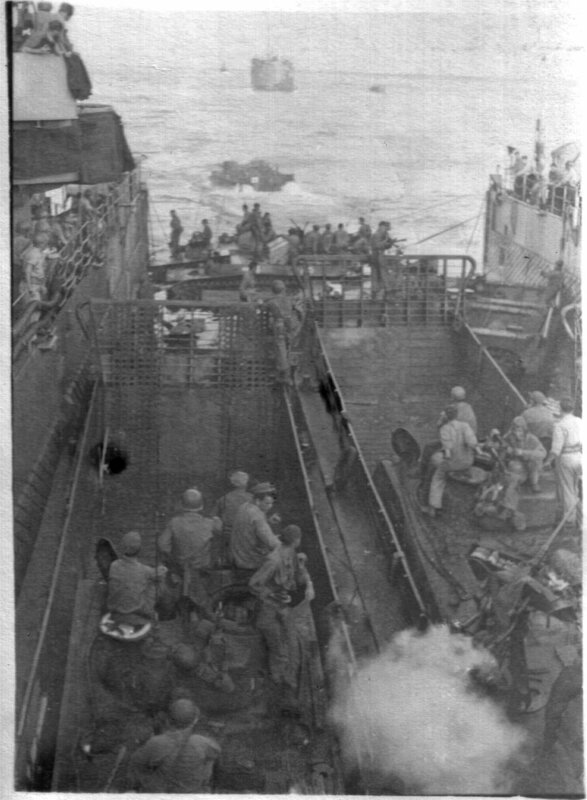 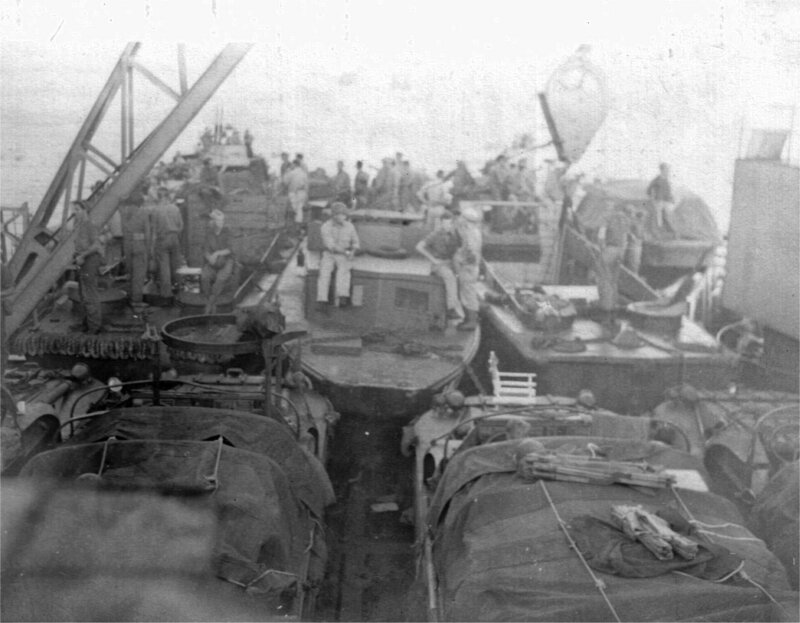 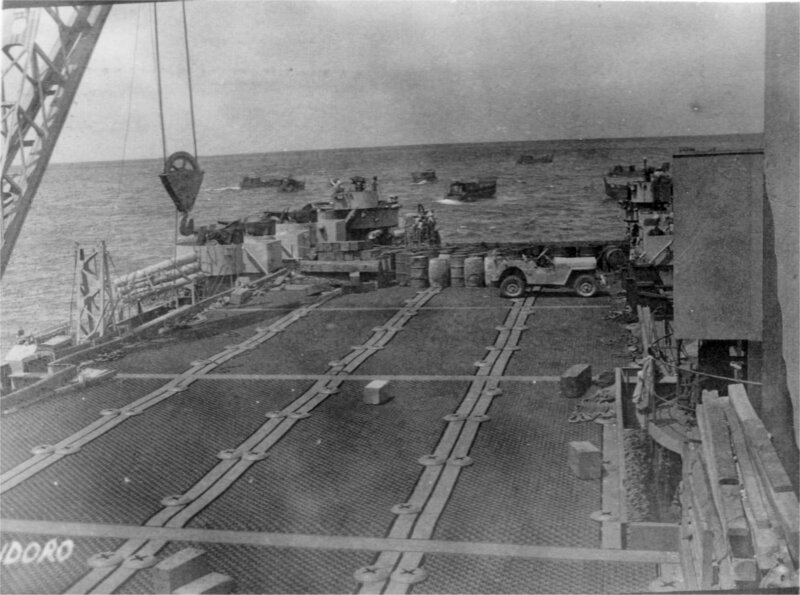 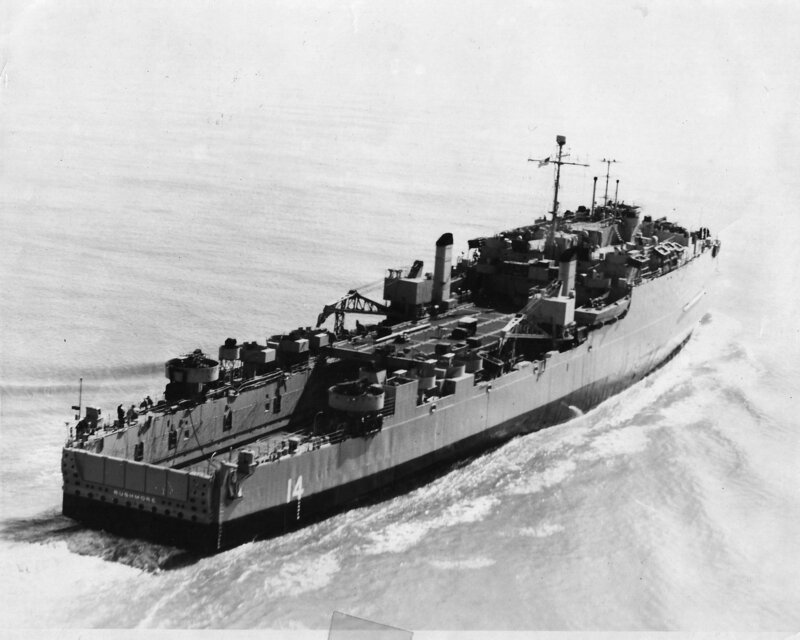 372k USS Rushmore (LSD-14) liberty party returning to the ship after a day at Grande Island, Subic Bay, Philippines, circa early 1946. 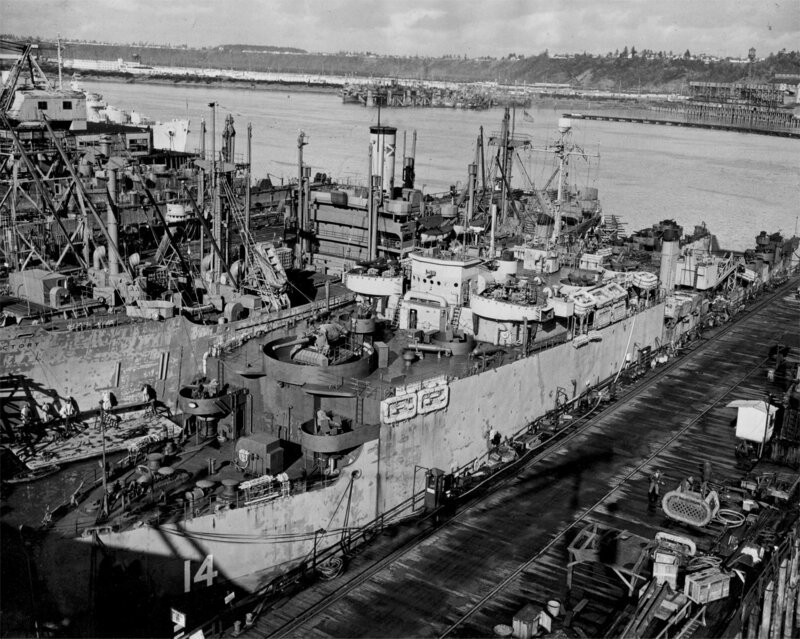 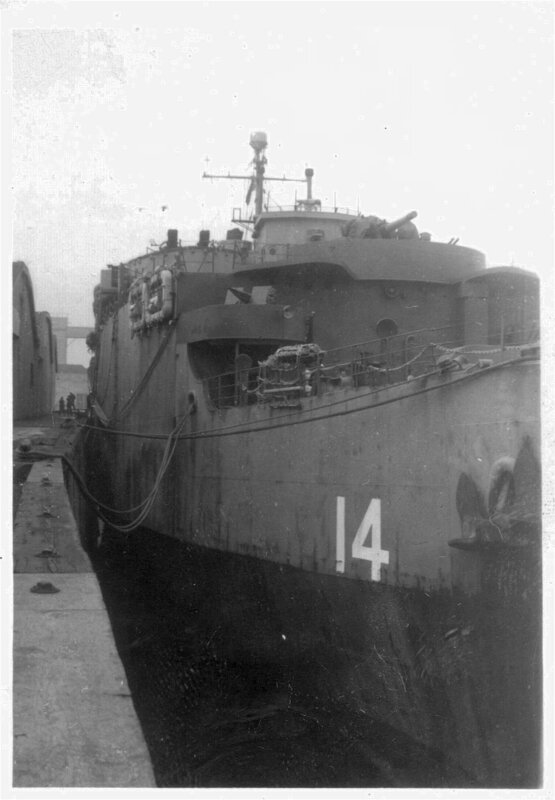 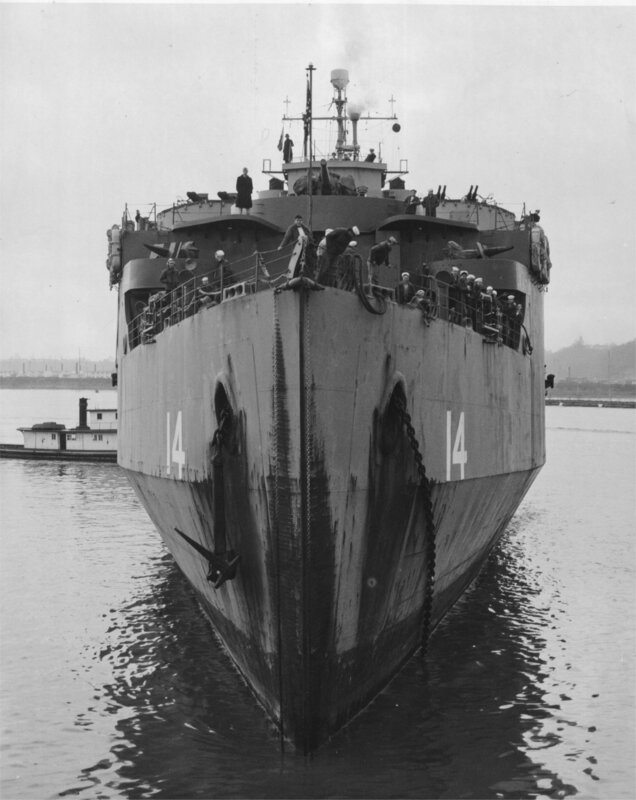 508k USS Rushmore (LSD-14) moored in a shipyard in the Portland, Oregon area, in January 1956. 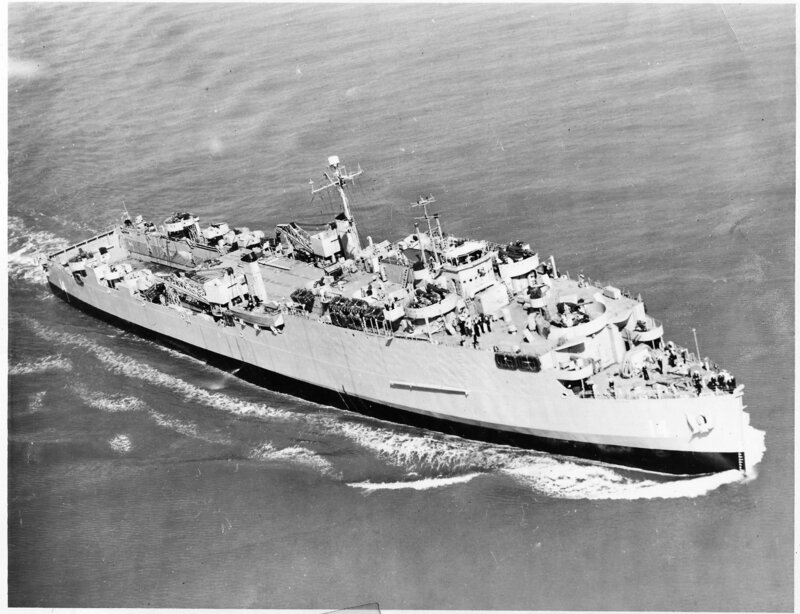 34k USS Rushmore (LSD-14) underway, date and location unknown. 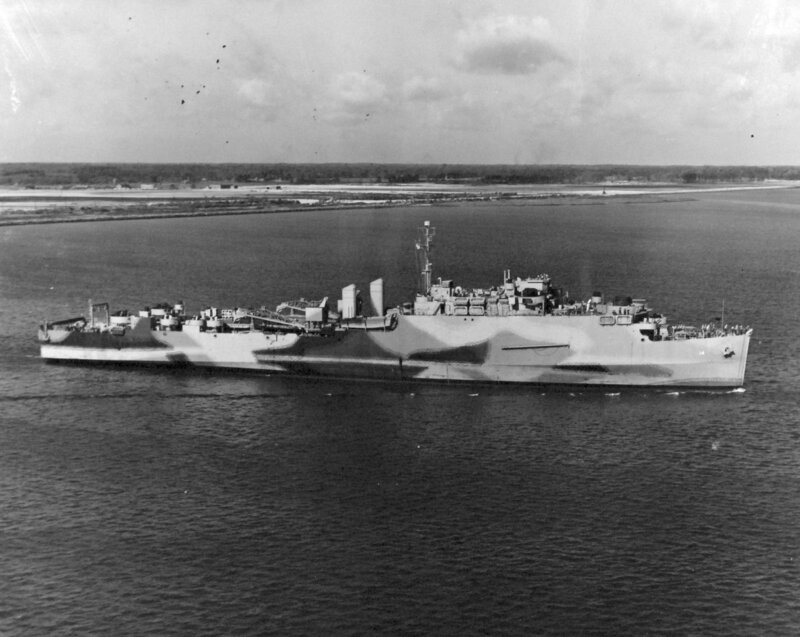 356k Aerial starboard view and aerial starboard quarter view of USS Rushmore (LSD-14), underway in the Atlantic Ocean shortly after recommissioning, circa early-1951.